This festival is for Kanda-myojin Shrine in Chiyoda-ward Tokyo, which is more than 1,300 years old. 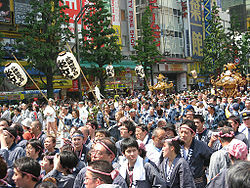 The festival itself has been held for more than hundreds of year as well. 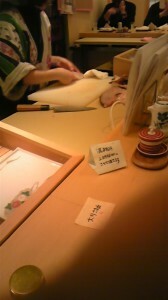 And it is one of the three great festivals in Tokyo and also one of the three great ones of Japan as a whole. The festival has been held every other year but the plan was suspended in 2011 due to the East Japan Earthquake, so this time it was held for the first time in the past four years. 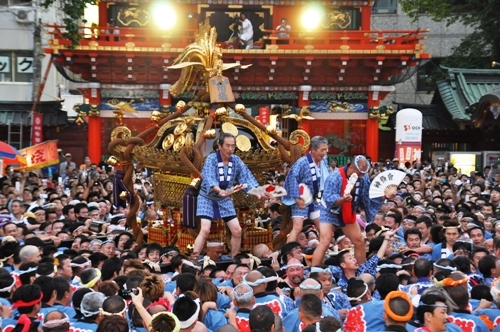 The festival consists of several events and the climax are Shinko-sai(/神幸祭, gods parade festival) and Mikoshi-miyairi(/神輿宮入, moving shrines entering in the shrine’s place ), and the first is a parade of about 300 people clad in period costumes walking about 30 km in the shrines area of Kanda,Otemachi, Nihonbashi,marunouchi,and Akihabara. The latter one is peopel carry about 80 moving shrines to walk down in the town and latter on all one them come back to Kanda-myojin Shrine one after another. 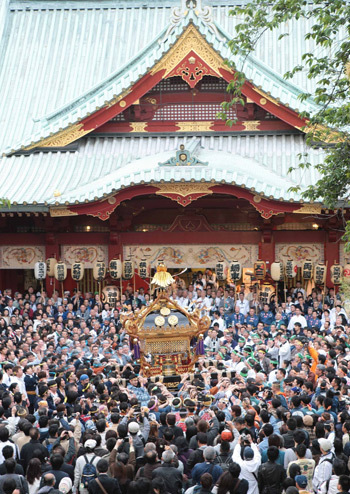 Actually, I myself visited the shrine on the 12th when Mikoshi-miyairi was held and watched the great situations of huge passions and excitements of so many people there. Japanese traditional festivals are really splendid and even young people love and happily support them well. 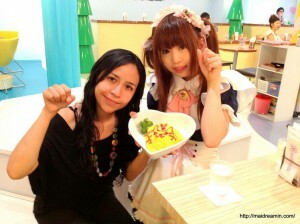 The Japanese maid café chain MaiDreamin (めいどりーみん) announced that it will open a branch in Little Tokyo, Los Angeles in Summer 2013. Branches are also being considered in New York City and Boston. The restaurant will hold auditions for employees out of the Los Angeles area. Atsuko Maeda, so-called “the steadfast center” ,or, “the absolute ace” of AKB48, graduated from that top female idol group of Japan at the moment on this Aug.27th. Maeda was one of the original members of the group since its start on Dec.8th 2005, and almost always performed at the central postition of singing and dancing formation on stage. On the very next day of the end of a series of live concerts at Tokyo Dome(http://www.tokyo-dome.co.jp/e/) Aug 24-26 so successfully, which about 144,000 people had visited in total, AKB48 hosted the “graduation memorial concert of Atsuko Maeda” at AKB 48 Theater in Akihabara on 27th. 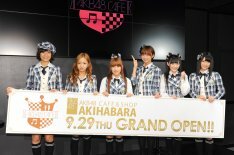 The former was a glorious realization of AKB’s dream-come-true since its foundation. 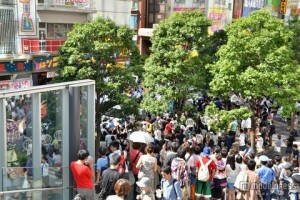 And there had been a plan of Maeda entering the Theater for the concert after showing herself from a car in a parade on nearby roads of the area in Akihabara, which unfortunately aborted due to an instrcution of the police for security’s reason. On that day there was a crazy situation of so many passers-by and fans in Akihabara area. A lot of posters of Maeda was put on various places in Akihabara station, special books, photo collections, items said to be available only on that day were sold at boolstores, AKB48 Cafe &Shop and other stores there. The available number of the tickets of the graduation concert was just 250, and more than 230,000 people applied for , so, the winning rate was about one out of 916 ! Agter the concert, Maeda showed up on a balcony of the building and waved good- by and sent her final salute as a AKB member to the people there. Coincidentally, I was in Akihabara on that very day, and bought a Maeda’s memorial photo collection for graduation at a special stall of a bookstore in the station building. 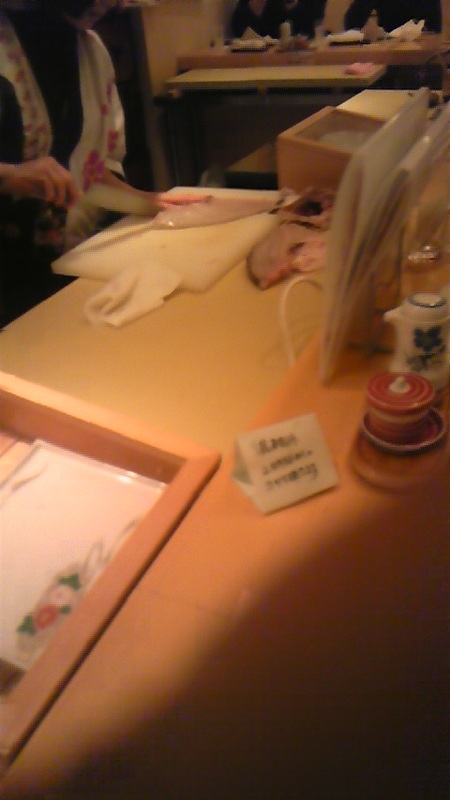 I felt sepecial atmosphere of excitement in the town. In addition, three days later , to my huge surprise, I just happened to witness two AKB48 members,namely Mina Ohba and Suzuran Yamauchi in Shibuya near the station while walking down there. Actually they didn’t stand out so much in the huge crowd there, but accidentally my shoulder and Yamauchi’s shoulder touched in the busy crowd, when we passed each other. 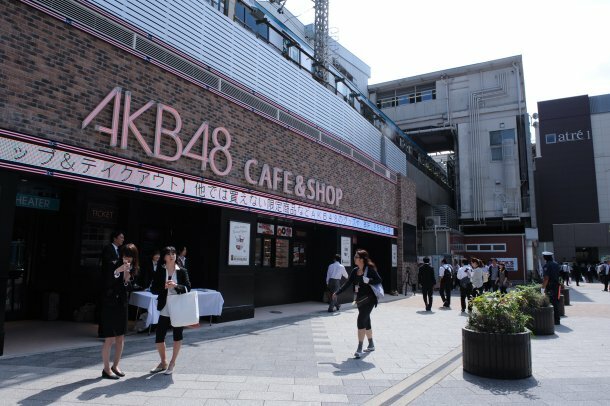 In that place Maeda’s big billboards were on the walls of nearby buildings, and ad-buses of the newest AKB’s song “Gingham Check” were driving around and their music was heard everywhere… That was a quite strange and impressive situation ,and I have found Shibuya is also an “turf”(?) of AKB48 groups or popular idols in general. 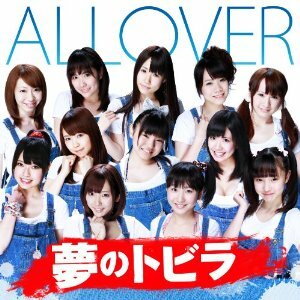 “Allover” , a young female idol group that had debuted in this spring made an official debut with the first single CD of “Yume no Tobira”(/夢のトビラ, a door to a dream) on the Jul.18th. The concepts of Allover are “a research team of the Akiba culture” and “bringing Akiba to the world”, as the primary tasks of the group are studying Akiba(Akihabara) culture and finding out the causes why the subculture there has become such worldwide famous. And the members also on other idol groups respectively,which implies members are supposed to contribute to growing the their own other groups as well. The group has plans to energetically host concerts and other activities nationwide. The First “Yubi-matsuri”(/ゆび祭り,the finger festival) was hosted by Rino Sashihara as the producer of the event, who had transferred from AKB48 to HKT48, at Nippon Budokan (http://www.nipponbudokan.or.jp/) in Tokyo on this 25th. “Yubi” means a finger and Sashihara’s “Sashi-” means a finger in the Chinese character used in her name. To the event, totally ten young female idol groups or 105 idols were invited, joined, and performed singing and dancing. They are “アイドリング!!!”(/Idoling!!! ),”私立恵比寿中学”(/Shiritsu Ebisu Chugaku, Private Junior High Ebisu), “SUPER ☆GIRLS”, “東京女子流”(/Tokyo Jyoshiryu, Tokyo girls stream”, “乃木坂46″(Nogizaka 46), “ぱすぽ☆”（pasupo）,”Buono!”, “ももいろクローバーZ”(/Momoiro clover Z, pink cloverZ),and “渡り廊下走り隊７”(Watarirouka Hashiritai 7). At the relaseing press conference of the event, “the producer” Sashihara extended a huge happiness for having a lot of popular idols or idol groups for her guests but she wished to host such events again with more popular groups such as “Morning Musume” . AKB48, HKt48,SKE48, or even idols unknown to public well who haven’t showen up on TV. On March 7th night, the neon sign at the front of Akihabara’s iconic Radio Kaikan was disassembled as a part of the building’s planned demolition. The disassembly began around 8:30 p.m., attracting a crowd that hovered slightly under a hundred people in size the majority of the time. The building was first established in the early 1950s, and after various renovations and construction efforts, it grew to become an eight-floor building that operated from 1972 to 2011 with tenants primarily concerned with selling electronics, computers, games, hobby goods, and other items representative of the area. March 3rd is “The Girls’ Day”, which we celebrate a festival for a girl’s health and happiness , setting special adorned dolls, eating special sweets, drinking sweet rice juice, and others. The primary of the contest whose purpose is to choose “Moe-type cute or beauiful girls” started on Sep.1st 2011 and Chiu says, she is so happy to have achieved such a glorious goal because she had started making intensive efforts for the contest for about two years since the last contest, having been supported by a lot of her fans. Chiu says, “Though I look innocent but actually I like Japanese sake and have tastes of those of middle-age men”. 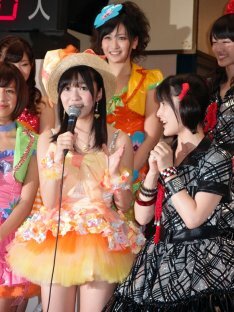 Chiu was awarded sub-prize money of 100,000 yen and a right to debut as a singer to produce CDs. 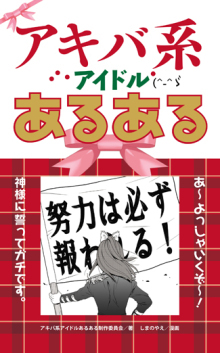 Takuro Morinaga, a currently famous and popular TV commentator who is known as a enthusiastic figures collector as well, made a remark about her, saying, she is overwhelmingly Akiba-like, and so, she has successfully caught the heart of Akiba-type geeks”. More than enrusiastic 800 people visited the J-FEST ,which was beyond the capacity of the venue in Moscow. 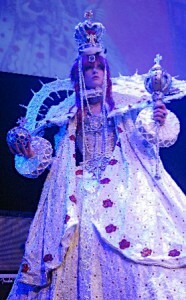 At the cosplay event , 30 groups that had passed the preliminary contest out of 80 groups showed their Japanese popculture-related costumes. The winners were given tickets to take a travel to Japan, which made them quite happy and excited as they are interested in the anime and its related cosplay culture’s “mecca” in Japan. 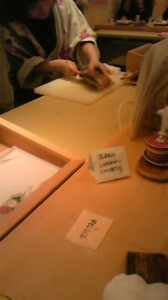 At the cafe consists of four sections, namely “Theater”,”Cafe”,”Private room”,and “Shop”. At “Theater”, you can enjoy buffet style meals with movies of AKB’s concerts on a large screen. At “Cafe”, you can enjoy special dishes created by AKB’s members ,which are to change from month to month. 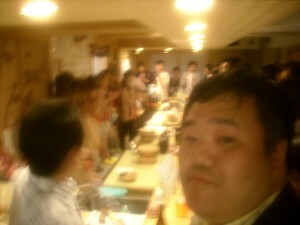 And “Private Room” whose capacity is 16 people is equipped with DVDs of AKB. In addition, at “Shop” you can buy original items related to AKB. 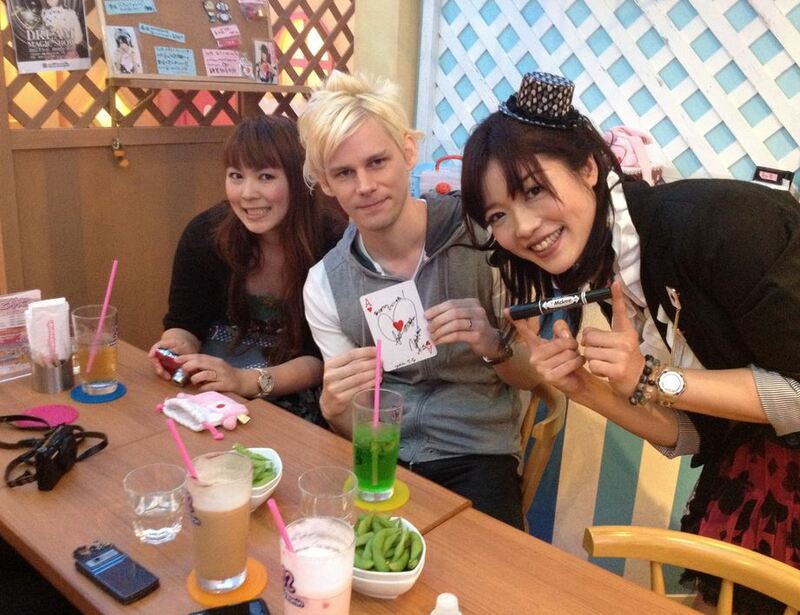 Sometimes AKB’ members make “surprise” visits to the Cafe& Shop, which makes customers amazingly happy. And here is another new information concerning AKB48 project. On this Oct. 1st, AKB’s management announced it is going to launch a project of a new sister group of AKB48. The new group is “TPE48”, which is to be based in Taipei, the capital of Taiwan. Further details of the project will be noticed to public at the end of this year, and the new group is expected to start theatrical performances around the summer in 2012. 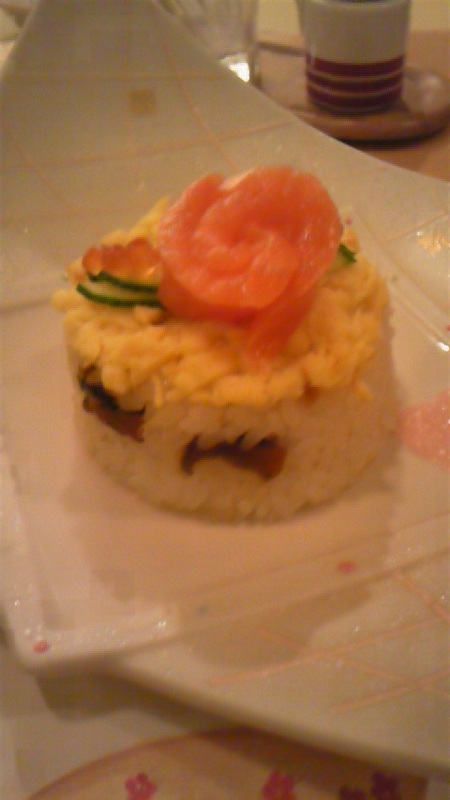 “Nadeshiko Sushi” that I wrote about here before (http://www.tenkai-japan.com/author/kawamura/page/4/) hosted its one year anniversary party on the Oct. 1st. 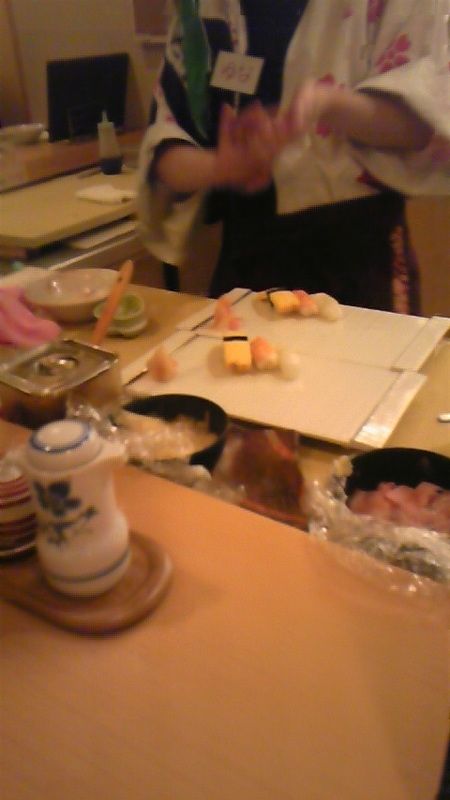 Nadeshiko Sushi(http://www.nadeshico-sushi.com/) was visited by about 40 attendees to the party at that night, all of whom had bought a special ticket to join it in advance…including myself ! 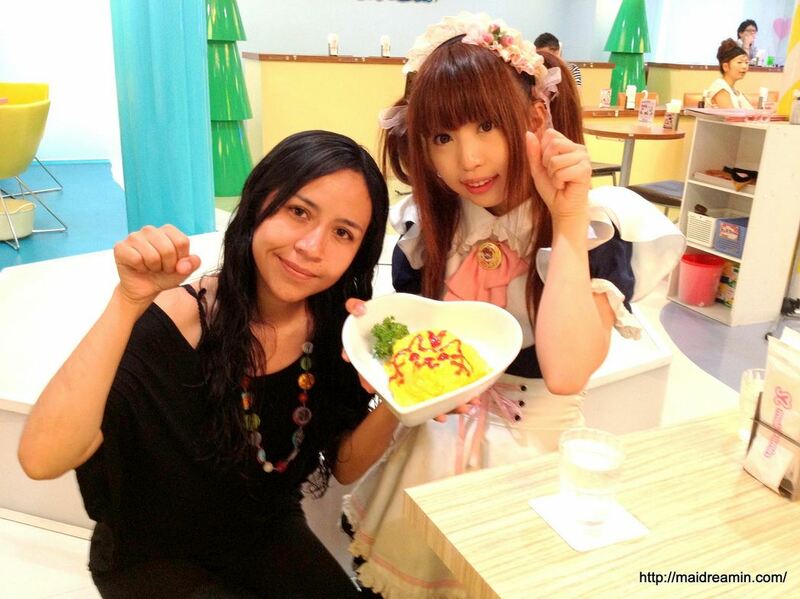 On Sunday an Uchimizu event was held by girls dressed as maids in Akihabara,Tokyo. 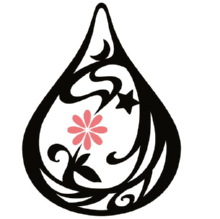 Uchimizu is an old custom which involves sprinkling or pouring ladelfuls of water (rainwater or used bathwater is generally used rather than tap water), onto the walks and gardens outside homes or shops to keep down dust or ease the heat, and encourage community interaction. When it gets really hot in Tokyo, the locals like to sprinkle water on the street in front of the house or shop. It’s an old tradition that has become popular again here. In the heat, water on the streets evaporates naturally and during this process, a small amount of energy (0.58kcal/1g water) is absorbed from the surrounding air. When many people perform uchimizu the difference can be quite noticeable. ・Be aware of passers-by and other participants. ・Refrain yourself from watering on busy streets. ・Sprinkle water in a quiet and safe place. ・DO NOT WATER at curves, crossroads, or over manhole covers. ・It makes the street highly slippery. ・ Car drivers and bike riders: Please be careful when entering watered areas.